What is the optimal diet for a healthy heart? Diet plays a major role in reducing the risk of, and preventing CVD. This in itself is not news. 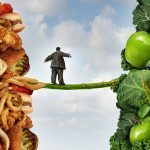 However, questions over the ideal diet for optimal cardiovascular health continue to stir debate and generate headlines. Until recently, research pointed towards a diet high in fruit and vegetables, and low in saturated fats as the optimal diet for optimal cardiovascular health. However, as always things are not so straightforward. In the face of such conflicting data, it is difficult to ascertain exactly what the optimum diet is for good cardiovascular health. However, at the very least, it is clear that current dietary guidelines are in need of urgent review. Bonaccio M, Di Castelnuovo A, Constanzo S, et al., Higher adherence to Mediterranean diet is associated with lower risk of overall mortality in subjecrs with cardiovascular disease: prospective results from the MOLI-SANO Study. European Heart Journal (2016) 37 (Abstract Supplement); 555-6. Grasgruber P, Sebera M, Hrazdira E, Hrebickova S, Cacek J. Food consumption and the action statistics of cardiovascular diseases: An epidemiological comparison of 42 European countries. Food & Nutrition Research 2016, 60: 31694 – http://dx.doi.org/10.3402/fnr.v60.31694. Cohen E, Cragg M, DeFonseka J, et al., Statistical review of US macronutrient consumption data, 1965–2011: Americans have been following dietary guidelines, coincident with the rise in obesity. Nutrition 2015; 31 (5): 727-32.